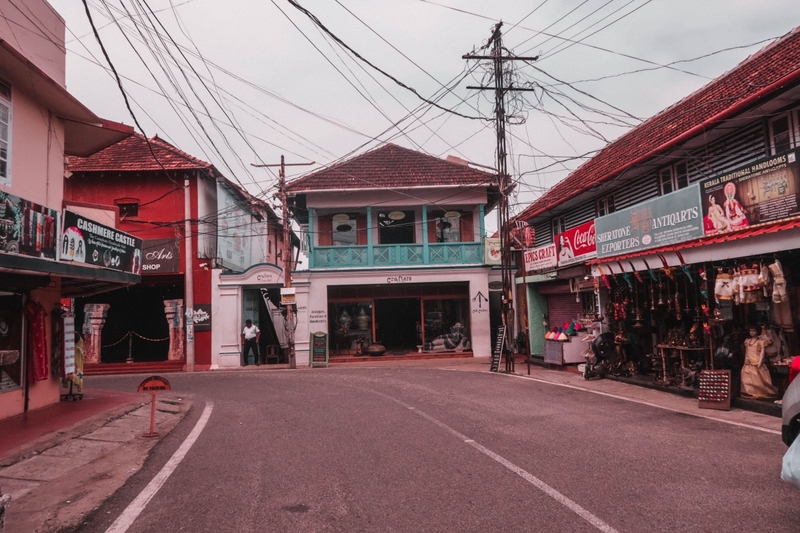 Narrow lanes lined with the colonial house with colourful gates was the first thing that caught my attention in Fort Kochi. Another striking common characteristic was the presence of colourful flowers outside every house. Colourful bougainvillaea was peeping out of almost every house of Fort Kochi. I walked ahead and checked my phone for the location of my homestay, both at the same time. It took me less than 2 minutes and an old wrinkled face welcomed me with the warmest smile ever. I quickly freshened up and went out for a short walk. It was hot and along with everything else my spirits were on fire too. 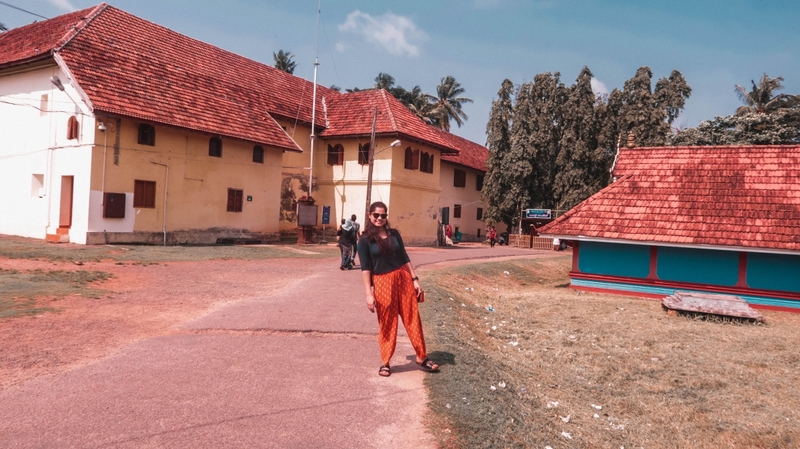 I had read so much about the European heritage and colonial look and feel of fort Kochi that I couldn’t stop myself from venturing out. Kochi is bestowed with an interesting heritage influence and the current state of Fort Kochi is a living proof of that. 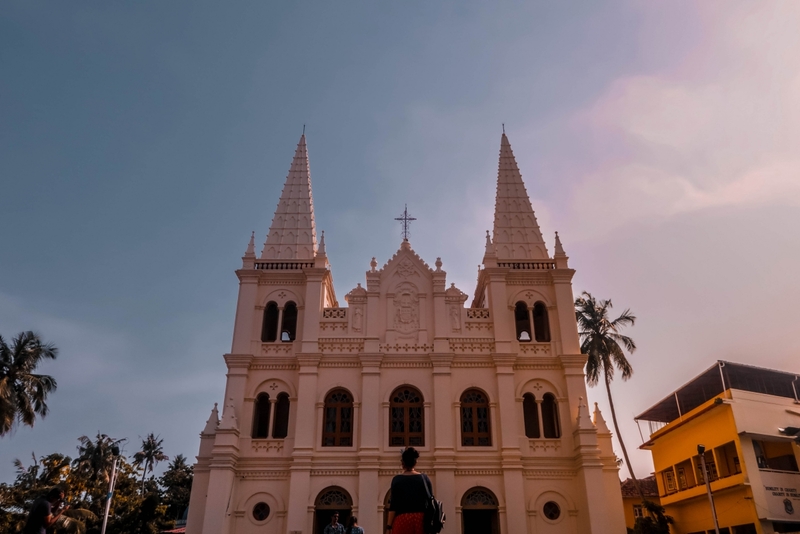 Having seen so many colonial powers in play, Kochi is nothing less than a potpourri of different culture and histories. The history of Kochi dates back to 1341 when a natural calamity (flood) resulted in the formation of a safe port. This port replaced Muziris, located on the Malabar Coastline as the chief harbour. Very soon the royal family shifted here and the port became the cynosure of all the trades. The city grew on a rapid rate and attracted more and more Christians, Arab and Jewish people purely because of the propitious trading opportunities. Post 1500 the European involvement increased with Portuguese, Dutch and British people fighting aggressively for the spice trade. From 1800 till independence Cochin was part of British Madras Presidency. Britishers put in a lot of efforts to evolve the port. And make it capable enough to handle ocean-going ships. The revamping helped in taking the trade to another level. The existence of Wellington Island is also credited to various efforts by the British. It was discovered while dredging between Ernakulam and Fort Kochi. The present Fort Kochi is a visual coherence of many histories. Safe to say a place rich in historical repertoire with no feudal baggage. Fort Kochi gets its name from a Fort which was built by the Portuguese, though the fort is no longer can be seen the name endures. Fort Kochi has something for everyone. 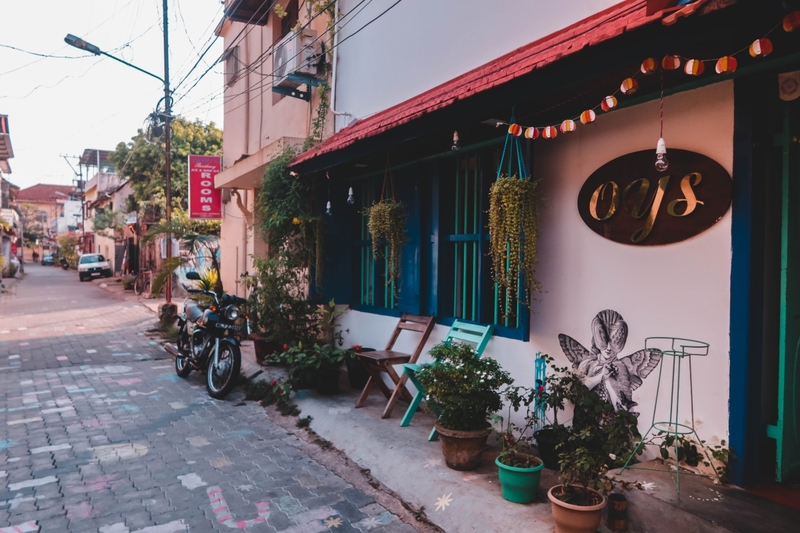 The place is a palette of Old Portuguese houses, Dutch buildings and British cafes. Presently known as Burger and Princess Streets, are home to a myriad of quirky cafes. 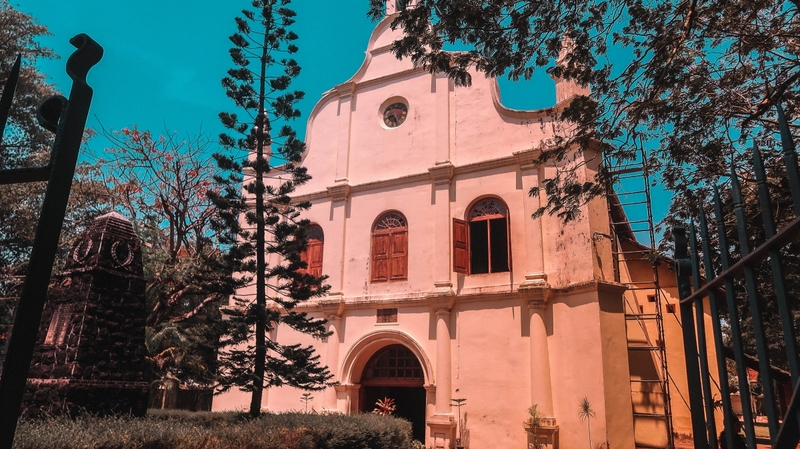 St Francis CSI Church and Santa Cruz Cathedral Basilica are the living examples of how the Dutch and Portuguese architecture coexist in peace and harmony. The Chinese fishing nets at the Fort Kochi beach is also a prominent example of the foreign influence and settlement over Kochi. By now I might be repeating myself but Fort Kochi is a cultural melting point. 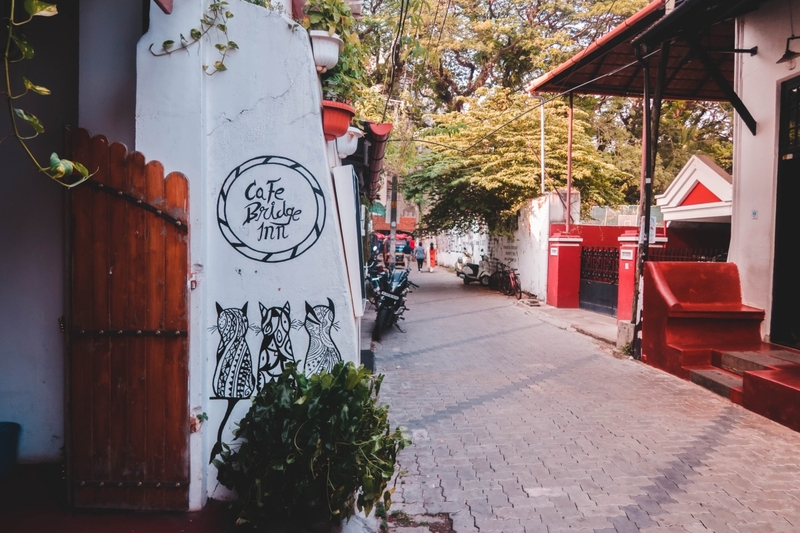 A walk in a quaint lane of Fort Kochi will compel you to think about how graciously Kochi embraces and restores the diversity of different histories. Kochi is not just a place but also a huge source of inspiration for a lot of creative writers. 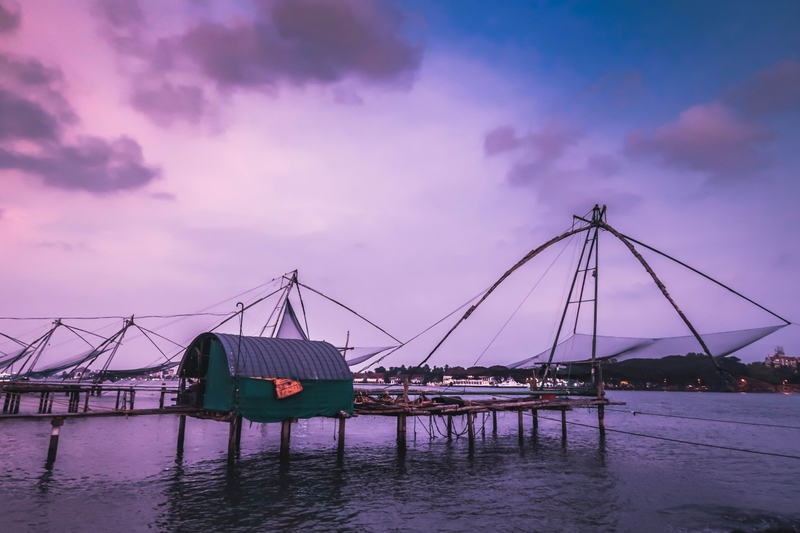 The visual appeal, the confluence of histories and mix lineage of Kochi is highly capable of churning out quaint stories with strange characters. 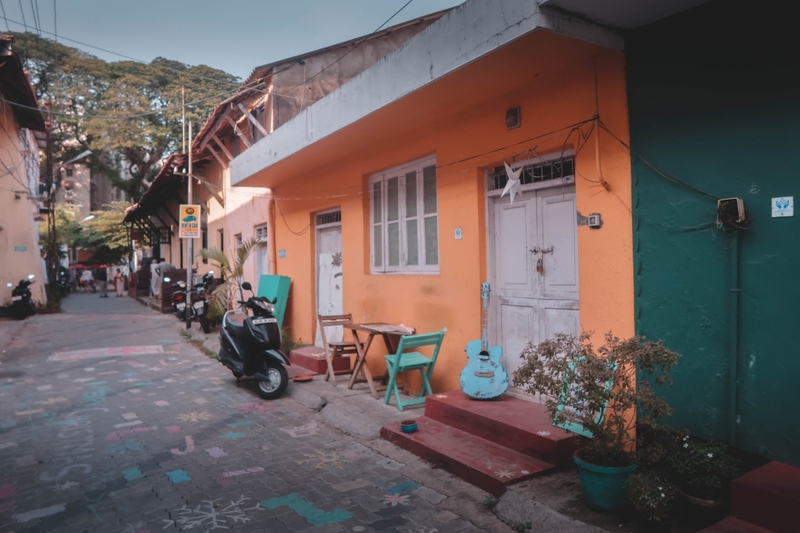 If you are looking for a muse to deal your creative block then Fort Kochi is the place you should be heading to. During my three days in Kochi, I was exposed to these mind-blowing facts about Kochi. I also took my maiden backwater ride and saw the famous Kathakali live dance performance. Ate at Kashi Art café and saw sunset at Vypin beach with Chinese Fishing net backdrop. Visited the churches, Dutch Palace and strolled around the famous Jew market. 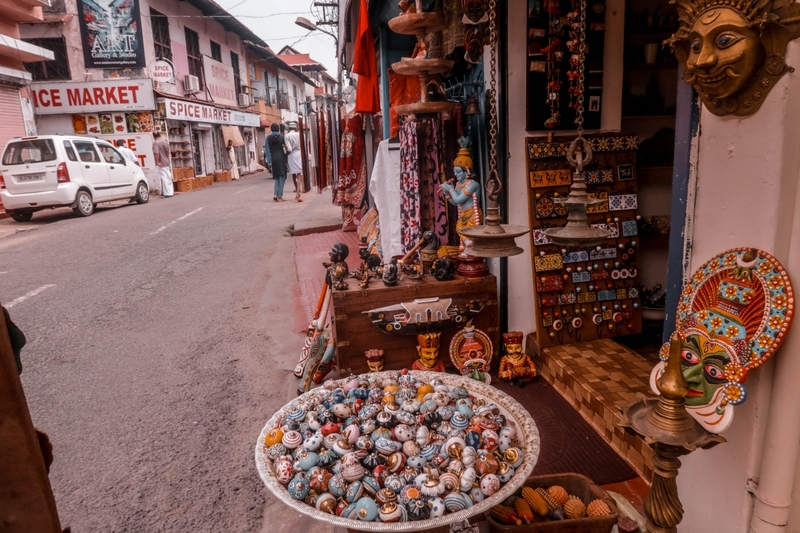 I would happily go back to Kochi just to soak in its cultural and historical diversity.